A new study by researchers at the University of North Carolina School of Medicine examines how the protein UHRF1 is able to “read” the histone code in DNA in a way specific to cellular function. According to a University of North Carolina news article, histones are decorated with many kinds of chemical tags, which are very difficult to understand. The study appeared on June 1st, 2013 in the journal Genes and Development, and it is one of a number of studies aiming to examine the histone code that Strahl and science researcher C. David Allis thought might exist over ten years ago. The hypothesis says certain combinations of histone modifications rely on one another to form a code similar to the genetic code, in which nucleotides combine to make an amino acid. Chemical changes like phosphorylation, acetylation and methylation create a language that can be read through the ability to recruit proteins to DNA and histones. The University of North Carolina at Chapel Hill produces a great deal of innovative research every year. In addition to making this groundbreaking contribution to the study of histones, the University of North Carolina is a very well-funded market for lab suppliers interested in marketing life science solutions and increasing scientific product sales leads, according to recent NIH and NSF research funding statistics. In 2012, the NIH awarded the university $367.8 million in research funding. 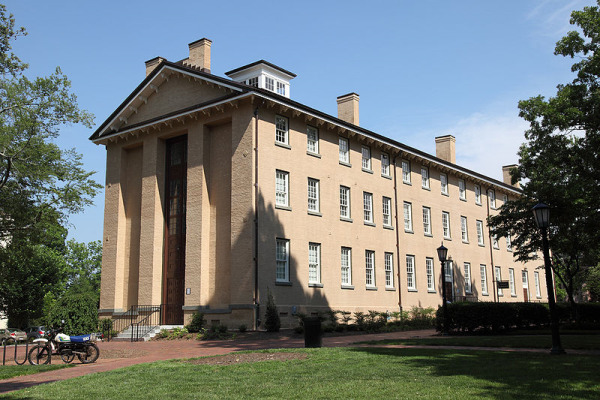 The life science departments receiving funding were various, and the University of North Carolina at Chapel Hill received 829 awards in total. In 2011, the NIH ranked the university 13th in the country for direct plus indirect costs in the life sciences, excluding R&D contracts and ARRA awards. The total costs that year were $339.5 million. In addition to receiving NIH research funding, the University of North Carolina at Chapel Hill also received $38.8 million from the NSF in 2012. Of the research money, $11.5 million went to life science projects. These projects spanned a number of life science disciplines, including plant genome research, global systems science, physiology and structural systems, bio informatics, cellular dynamics and function, genetic mechanisms, systems and synthetic biology, evolutionary processes, molecular biophysics, and developmental systems. The NSF ranked the University of North Carolina at Chapel Hill 11th in the country for total R&D expenditures in the life sciences in 2010. The total expenditures were $592.9 million that year. Biotechnology Calendar, Inc. invites all lab suppliers interested in marketing their life science solutions and increasing scientific product sales leads at life science marketing events to attend our annual Chapel Hill BioResearch Product Faire™ Event. Biotechnology Calendar, Inc. is a full-service science research marketing and events-planning company that has been organizing life science marketing events at top research institutions across the country for 20 years. For more detailed funding statistics on the University of North Carolina at Chapel Hill, or to learn more about the Chapel Hill BioResearch Product Faire™ Event, click on the button below. If you are interested in increasing scientific product sales and marketing life science solutions at life science marketing events closer to home, we encourage you to view our 2013 calendar of events.